Google’s Eric Schmidt said in 2014 that Amazon was the company’s biggest competitor, and his premonition is becoming more prescient with each passing year. Amazon is fast rising into a realm that has previously been dominated by Google and Facebook: advertising. While Amazon still isn’t close to seeing the revenue that Google and Facebook garner from ad spending, it is quickly becoming an advertising channel brands cannot ignore. More people begin product searches on Amazon than they do on Google, and Amazon is opening the door for brands to capitalize on this fact. Where are Amazon’s advertising services today, and how should brands take advantage of this innovation? During 2016’s Q4 earnings call, Amazon posted a line item for “other” revenue that showed a 60% increase from the previous year. This revenue line covers co-branded credit card agreements and “certain advertising services.” Adam Levy of The Motley Fool pointed out that Amazon’s credit card has been around since 2002 with little change, giving the majority of the credit to Amazon advertising growth. While it was easy to wonder if advertising was going to become Amazon’s “next big thing” in 2016, these days it’s no longer a question but a definitive fact. In the first quarter filing of 2018, Amazon announced their advertising wing had grown 132 percent year over year to reach $2 billion, making it the company’s fastest-growing segment by a significant margin. Many pundits now consider Amazon to be a viable threat to the once-unshakable advertising giants. As advertising on Amazon takes on greater importance, Amazon’s CFO, Brian Olsavsky, sees advertising and consumer goals working together. Advertising is the fastest growing segment of Amazon’s business for a reason. Though they’re not likely to challenge Google or Facebook’s ad revenue in the foreseeable future, the value of its services lies in the type of data Amazon possesses and the intent of consumers seeing the ads. The specifics of what a user owns or wants to own are unique insights the online retailer has to offer. Pair that knowledge with consumers who arrive on the site already contemplating a purchase, and you have an incredibly strong foundation of knowledge and intent. What Types of Advertising Does Amazon Offer? Amazon has had small ways for brands to advertise in the past (things like inclusion in an email blast), but the key new area of growth lies in the newly rebranded Amazon Advertising platform (formerly Amazon Marketing Services and Amazon Advertising Platform). Amazon Advertising allows brands to run their own self-service, keyword-targeted search ad campaigns. These are pay-per-click ads that can appear in three ways on the site: as a Sponsored Brand, a Sponsored Product, or a Product Display ad. Based on the campaign type, these ads appear in various places on search results pages. Amazon search ads can be directed to appear on specific product pages, whether it be a similar product sold by the same brand or the product page of a direct competitor. These ad campaigns come with key performance metrics supplied by Amazon that offer brands a detailed look at the effectiveness of their keywords, CPC bids, and more. Read more on paid campaigns here. While Amazon advertising offers targeted ads that appear directly at the point of sale, Amazon DSP (formerly Amazon Advertising Platform) lets brands cast a wider net and advertise on a variety of Amazon-owned online properties, including on mobile devices like Kindles and smartphones. Amazon DSP utilizes display ads, which use a variety of remarketing techniques to regain the attention of once-interested shoppers who didn’t complete the sale. Remember, Amazon knows what you searched for and what you bought, so ads with Amazon Advertising Platform can show up on external sites to remind you about those new running shoes you looked at intently but didn’t decide to buy. Amazon search ads are focused and precise; Amazon DSP ads are broad and show up in front of people who aren’t actively shopping. Because of this, search ads are charged by competitive CPC rates and display ads are charged by every thousand impressions. When used together, they create a well-rounded Amazon advertising strategy. 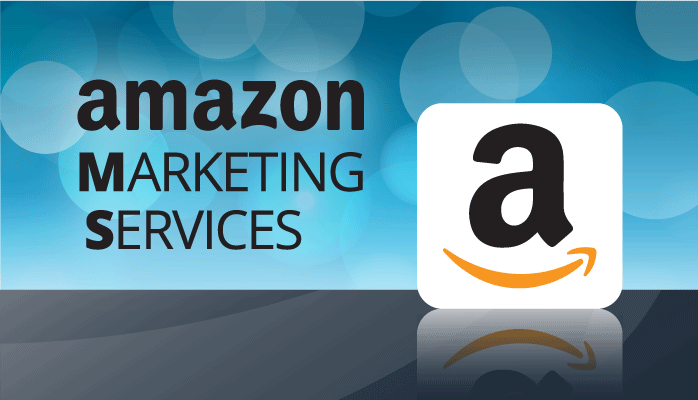 Here are three steps you can take to capitalize on Amazon’s different advertising platforms. Before you launch your first paid Amazon search and display campaign, make sure your product pages are worth driving people to. If necessary, update your essential content, including the product title, bullets, basic product description, and main product images. You will also want to add enhanced content to your most important products. Enhanced content covers lifestyle images, videos, 360 views, comparison charts, and additional details about the product. Now that basic A+ content is free for all vendors, brands should seriously consider adding it for every product, not just the top sellers. Now’s the time to raise the discoverability of your products by strategically implementing paid campaigns. Use ads to drive demand for products; since Amazon primarily rewards clicks and sales with higher search placement, paid ads can help your products rise through the search rankings. 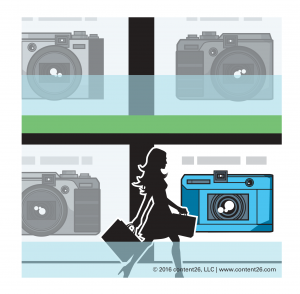 Be careful to avoid the pitfalls of automating or forgetting your content. As your marketing messaging changes and your products’ needs change, you will want to update your ads and content to match. Amazon search ads allow brands to run their own campaigns, but display campaigns must either be managed by Amazon or by an agency that has been certified in the platform. If you decide to invest in both search and display ads, the best strategy is to employ a single agency that can oversee both types of campaign simultaneously. All that great data we mentioned earlier? This is where it comes into play. Monitor your metrics and adjust your strategy to get the most out of your Amazon advertising spend. Once your campaigns are over, you can take your learnings back to your product-page content for continuous improvement. The industry has taken notice of Amazon advertising growth. Take advantage by preparing your product pages for the spotlight, setting your Amazon search and display campaigns, and using your learnings to improve as you go. Editor’s Note: This blog post was updated on 9/26/2018.